Kim Jonghyun was 27 years old. He was part of a successful Korean boy band named SHINee for more than nine years. He was also an accomplished solo artist. But success doesn’t mean happiness. 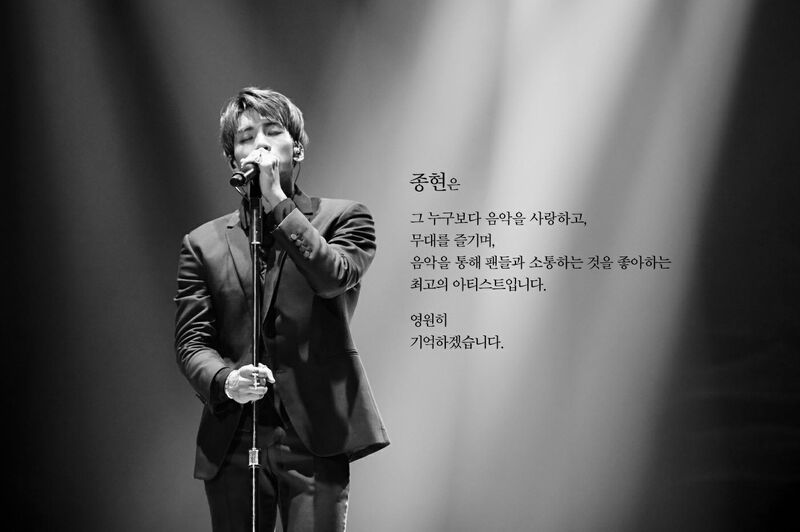 On December 18th, Jonghyun committed suicide. Kim was found unresponsive in a rented apartment with charcoal briquettes burning near him. He had inhaled carbon monoxide fumes, which lead to his death. Kim was always known as a hardworking idol who produced breathtaking music and performed with bright smiles for his fans. Yet, despite the glittery approach he took to the world, Kim had depression. Fans around the world erupted their sorrow over social media, saying that the incident should be taken as a wake-up call. The hashtags #MyMentalHealthIn5Words and #RosesForJonghyun quickly became trending on Twitter. Various idols like Jay Park and Luhan have paid their condolences, and SM Entertainment has released a final statement and tribute regarding the incident.